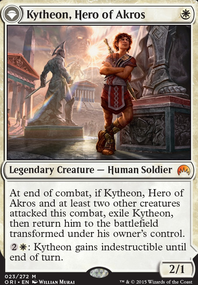 Can I activate Skyrider Patrol's ability on a new token created with Sigiled Sword of Valeron? Equipped creature gets +2/+0, has vigilance, and is a Knight in addition to its other types. 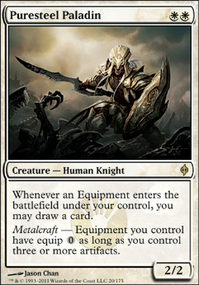 Whenever equipped creature attacks, create a 2/2 white Knight creature token with vigilance that's attacking. I was playing a mono blue artifact/token deck revolving around Sai, Master Thopterist and Sigiled Sword of Valeron .. my opponent was playing an izzet control deck using Crackling Drake and super friends Jaya Ballard and Ral, Izzet Viceroy .... the game dragged on and on and on.... he had me beat soundly by T10ish probably yet he just kept dragging it out and filling his graveyards to I guess one shot me with is drake.... but as it turned out he ran out of cards.... so I won in the end but i know i didn't really win. musicman3310 I have considered Josu Vess, Lich Knight being in the deck but feel like Josu is a bit slow for what i'm going for. 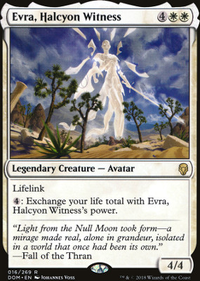 I use On Serra's Wings over Sigiled Sword of Valeron reasons being it provides evasion, buff as well as lifelink which I found can turn games around very quickly, I find that Sigiled can take a turn to equip it which can slow down the deck I feel. I think that Sigiled Sword of Valeron would be way better than On Serra's Wings . Have you thought about Josu Vess, Lich Knight any? Thanks for the tip. 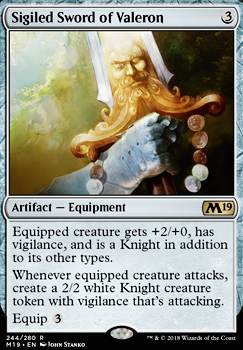 Sigiled Sword of Valeron makes the equipped creature into a knight so I'm considering taking Dauntless Bodyguard out for Champion of the Parish and maybe add in one more Sigiled Sword of Valeron to have a higher chance of making them knights. Did the Sky Terror change work well? I had some other thoughts moving along with the build you were starting with. 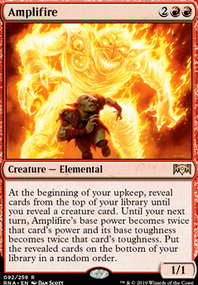 It seems a bit overdone on the red mana since none of your red costs more than 1 red mana+(other), and most of your deck is white. I'd drop the 2 guildgates at a minimum and put in plains, and I'd also add another plains to your deck, as it looks a little mana light. If you'd like the mentor thing to work out a bit better, you need to beef up your Aurelia and "possibly" Boros Challenger in order to get their buffs going for you. Consider dropping another mountain or two and adding a couple Guildmages' Forum for a free buff for Aurelia. I would consider Candlelight Vigil, or some easy cast equipment to help out... Jousting Lancegets first strike with that too, good for mentors who often have more power than toughness. Dowsing Dagger FlipForebear's Blade are other decent options. I also think the History play is neat, but has it really been changing the game for you? If it is, keep it going, but if you want to tweek with the deck a bit, I think this is another good place to do it. Your saying it combos with your Legionnaire, but even if you had 2 out, that would only mean an extra 4 damage, nice, but I think you can make your deck more powerful with another combo using your mentors, or even just going straight red spell damage. Hopefully at that time you would have out one of your bigger fliers, or add another big one like Light of the Legion(also a mentor), or go for an earlier cheaper rout with some more buffering using Parhelion Patrol. It really depends what to add depending how you are losing. If you are losing to a sweep of your smaller guys before they get bigger, you might need to go Tajic, Legion's Edge (another mentor as well as combo too getting buffs from the guildmage land) to prevent black and red spells killing your creatures. On the other hand, if you're getting behind early in games to a more aggro deck, the change in mana will likely help, but so will having your own quick damage to take out early trouble. Lightning Strike etc instead of the big spell casts like Intervention, but easy quick for early, and still a little helpful later on to finish off a blocking creature, planeswalker, player... They are getting out more creatures than you, and you have to leave your big fliers back to defend, Sigiled Sword of Valeron or Forebear's Blade, and put the Parhelion Patrol in for sure. 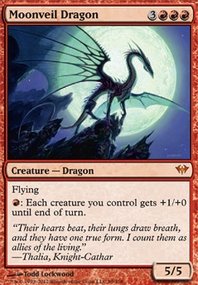 Once you have a good base, you can sideboard these different sets of cards depending what types of deck you're playing against. You will probably recognize some of the people, and if you don't, you will know which deck it is after the first game. 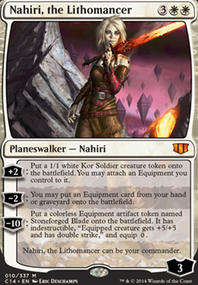 Work your way into getting a playset of Sparring Construct and The Antiquities War for sure...a interesting equipment is Sigiled Sword of Valeron whis is great for putting on theaters. splashing white for Board the Weatherlight is worth considering too. 73 cards mainboard as is.